When your best player blew off steam by scaling high-rise dormitories and eating glass, you're going to make a list of the most badass teams of all time. 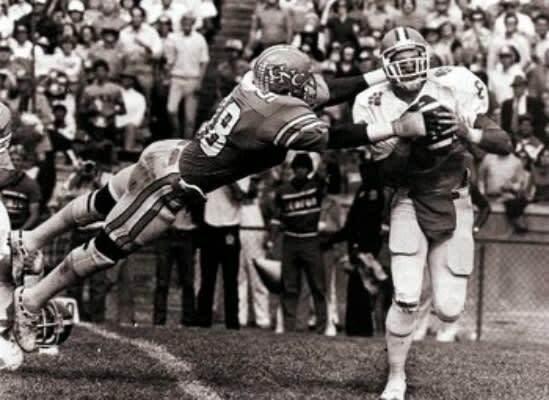 Lawrence Taylor, the aforementioned amateur Spider-Man/pusher of gastro-intestinal boundaries, led the best team in Tar Heel pigskin history—a squad that featured five All-Americans. LT anchored a Carolina D that allowed more than 10 points in only four games, and didn't allow six of their 11 opponents to score a touchdown.